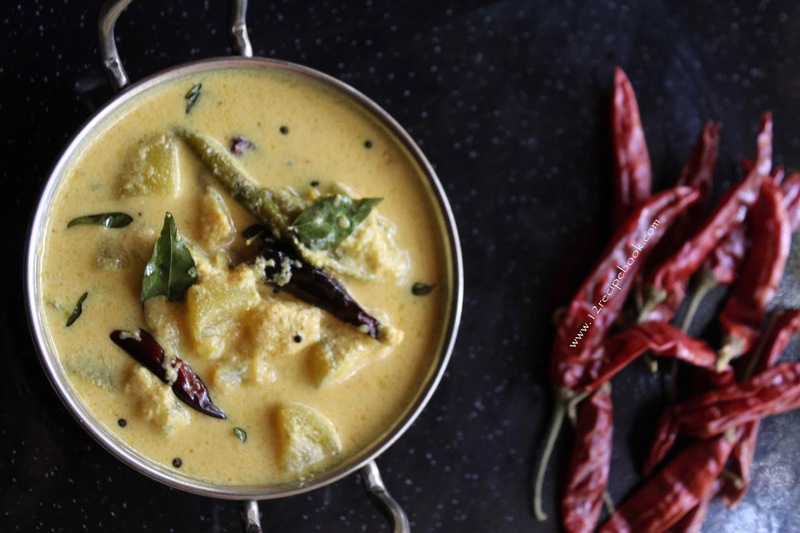 Ash Gourd Curry / buttermilk curry is a simple and comfort choice as a side dish for meal. Adding veggies like ash gourd, raw banana and yam to the curry is optional. 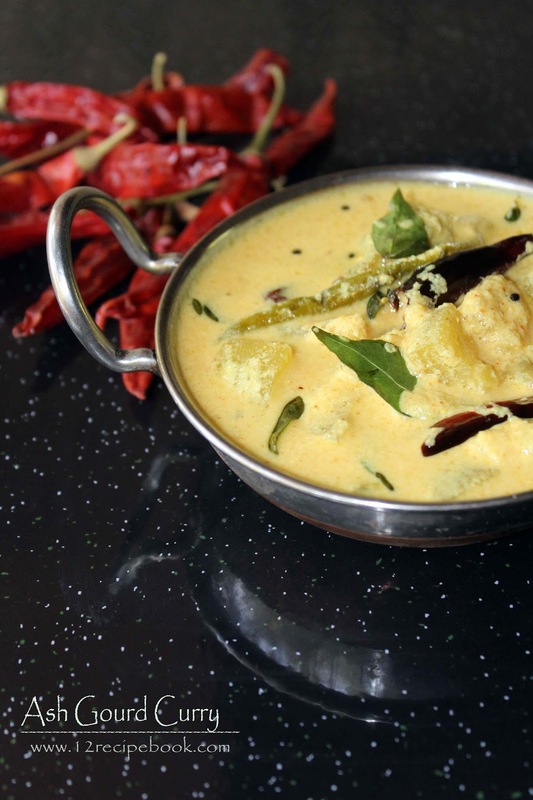 It is one of the menu in Kerala Onam Sadhya recipes. In a blender add grated coconut, cumin seeds and shallots, add enough water to make a smooth paste out of it. keep it aside. Cook ash gourd in a curry pot by adding green chilly, turmeric powder, chilly powder and 1 cup of water for about 10 minutes until ash gourd turns soft and cooked. When it is cooked add the coconut blended puree; mix well and boil for two minutes. Add beaten curd and mix well; turn off flame before the curry starts boiling.